Follow the link to the September 2017 CPCC State of the Arts newsletter for the latest in all the Arts happenings at CPCC. Single tickets for all productions of CPCC Theatre’s 2017/18 season go on sale Friday September 1st. For tickets call the SunTrust Box office at 704-330-6534 or go online 24/7 to tix.cpcc.edu. Season Tickets on sale through Oct 1st. Season Tickets are now on sale to the general public for CPCC Theatre’s 2017/18 Season. 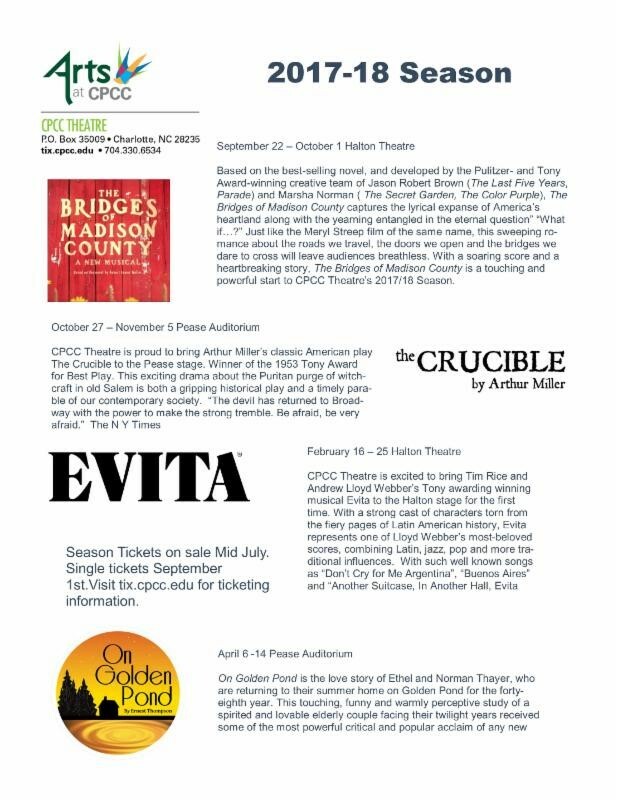 CPCC Theatre will present an award winning season of shows from September 22nd to April 15th showcasing the finest in theatre available in the Metrolina area. Contact the SunTrust Box Office 704-330-6534 or purchase online at tix.cpcc.edu. 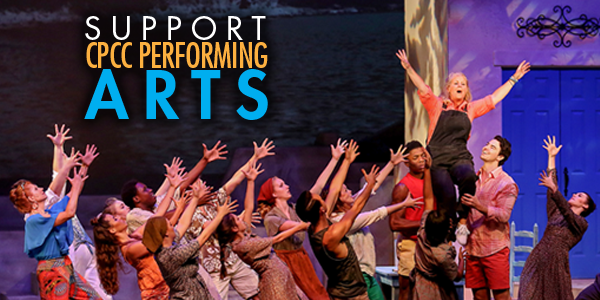 Season Tickets to CPCC Theatre represent the biggest savings for all around entertainment value in the Charlotte area. Call today before the best seats are gone. Single Tickets on sale September 1st.